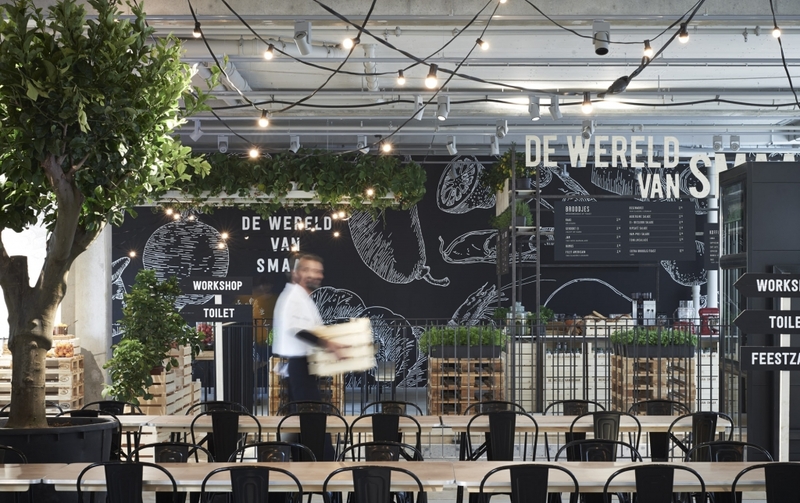 De Wereld van Smaak, cooperation of grocers trading in fresh Dutch food ware, commissioned INAMATT to design the visual representation of the brand. 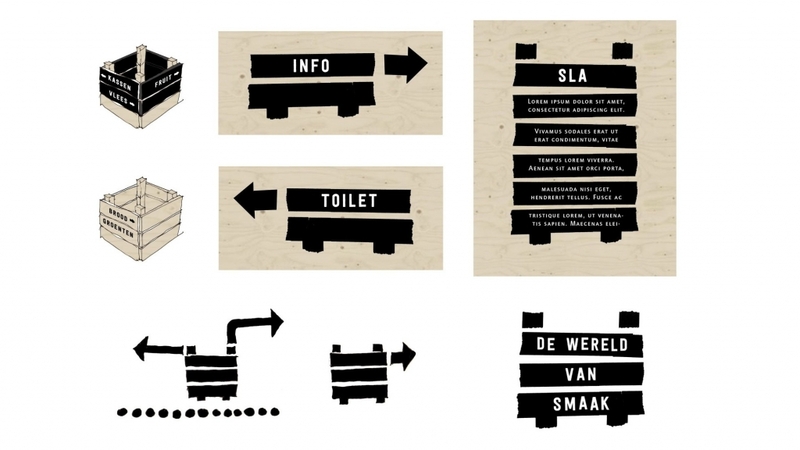 As centre piece for the visual identity the crate was elected. This carrier of all produce was reworked into a bold illustration, and turned into a functional logotype that will definitely not go unnoticed. 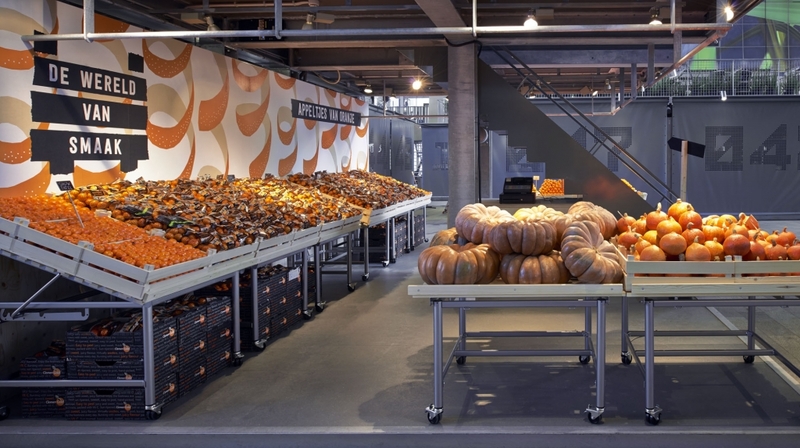 All spatial designs are linked to the produce, and the theme of pure and honest food ware. For the launch of the brand, INAMATT designed a playful temporary restaurant, where you can picnic underneath a sky of strawberries and dine within walls of green herbs.